My 10-hour Social Media Challenge is on. 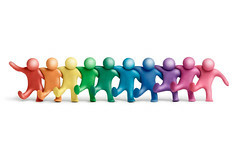 My mission today is to go on a social media trail on the blogosphere from the perspective of a social media beginner. 1. Answering the questions – What is social media? What is its impact and opportunities? 2. Connecting with leading social media bloggers and their great work. 3. Identifying learnings, insights, best practices and trends. 4. Having a great time on the social web. 1. Ping me about post(s) on your blog which will be of interest to a rookie social media enthusiast who wants to know more. Send me a comment in this blog or email at arunjoboy (at) yahoo (dot) com and I will link to / highlight the same. 2. You may also recommend interesting blog posts / work that you believe is worthy to be part of the social media discovery challenge. I will give you credit for being a great guide. 3. You can send me a comment or buzz me to check if I’m dozing or on with the live-blogging effort 🙂 I’ll be online in Windows Live Messenger, Facebook & Orkut. If there is some new tool we can use to connect, just let me know. 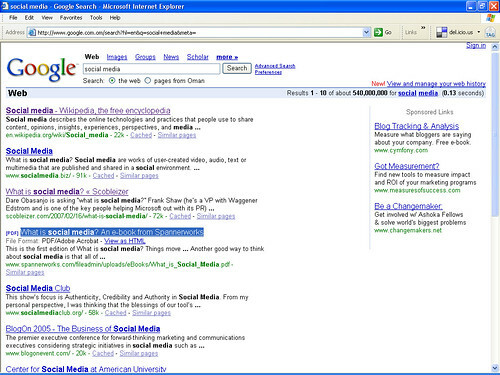 I start the Challenge by googling ‘social media’. Among the top search finds is this interesting e-book titled ‘What is Social Media’ by Antony Mayfield who is Head of Content and Media at Spannerworks. Antony has over ten years experience in online communications and blogs at Open (minds, finds, conversations). This 33-page e-book is a short sweet summary of social media and is a must-read for media, marketing and communications people with an interest in the subject. In fact, I have done some value-addition of my own by just creating a PowerPoint that explains the gist of this e-book using the visual metaphor of ‘hands in action’. I’ve mailed Antony this presentation and am awaiting his feedback. In this post titled ‘What is social media?’, popular blogger and tech evangelist Robert Scoble says that he prefers calling social media as Media 2.0 and compares it with old / traditional media such as newspapers, radio and TV. He defines social media as ‘online media with interactive capabilities’. I followed the comments trail in Robert Scoble’s post on social media I discussed in the previous update and here’s what I landed up with. 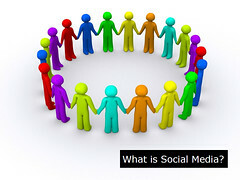 In the post ‘What is Social Media? No, really, WTF?’, Chris Heur discusses the 3 significant Cs of social media: Context, Communications and Collaboration. Social web consultant Stowe Boyd explains 4 fundamental distinctions between social media and its predecessors. 1. Social Media Is Not A Broadcast Medium. 2. Social Media Is Many-To-Many. 3. Social Media Is Open. Social Media Club is an interesting online community that shares best practices, establishes ethics and standards, and promotes media literacy around social media. 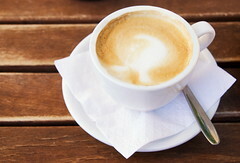 I dug up a few interesting posts on social media 101 from SMC. In ‘Reading, wRiting, aRithmetic and RSS – The 4 R’s’, Chris Heuer talks about 4 skills that are must for every social media literate person.Chris discusses 4 trends on the importance of social media here. 1. Social Media will become more of a business, but will retain the power from its personal passion, unlike new media in the big dotcom boom. 2. 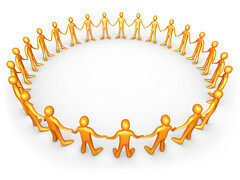 More individuals will band together in networks small and large, changing the very notion of freelancing and employment. 3. The corporation will be forever changed, traditional media will adapt before dying completely and all companies will become media companies thereby shrinking the advertising pie. 4. Social Media will be a primary catalyst in saving the world… or bringing about our demise. On his blog ‘Ether Breather’, Jiyan Wei discusses traits, types, features and advantages of social media. ‘Getting started with social media’ is very similar to Antony Mayfield’s ‘What is social media’ e-book in Update 1. I’m taking a quick break now! Will be back and there’s more stuff to explore. Stay tuned! Just back from my break. I’ve ordered for Cheese-Labneh-Chicken Pizza from the Turkish restaurant next doors. Promises to be yummy! Here are a couple of pearls from Christopher Kenton, President of MotiveLab at the ‘Unica Marketer’s Consortium’ blog. In ‘The Meaning of Social Media’, Christopher Kenton dissects and defines the terms ‘social’ and ‘media’ in social media and tells us that social media has transformed broadcast marketing to conversational marketing. 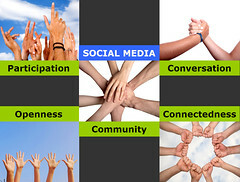 And let me quickly plug this in, if you haven’t heard about ‘The Age of Conversation’, a recent path-breaking book on conversational marketing, you might want to visit www.ageofconversation or click here.In ‘Getting Started with Social Media’, he offers 3 specific nuggets of wisdom to organizations who wish to jump into the social media bandwagon. In short, they are: (1) Focus on an initiative with minimal investment in time and money. 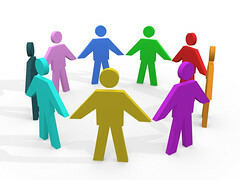 (2) Choose an initiative that would engage others in the organization in the project. (3) Choose something fun and engaging.In ‘Social Media Metrics’, Kenton explains how conventional marketing metrics may not be good enough to measure effectiveness of social media. He urges marketers to embrace innovation over immediate performance returns to get a long-term competitive advantage. I emailed Chris Kenton saying Hi and then downloaded a free MotiveLab Marketing Brief titled ’12 Essential Tips for Success in Social Media’. I will quickly outline the 12 tips and to read more about them, I suggest you download the e-book here. I just read about the demise of the Business 2.0 magazine on NYTimes.com via www.socialmedia.biz. It’s a pity this amazing mag is going to be shut down after October. Interestingly, there was a campaign on Facebook to save the mag. 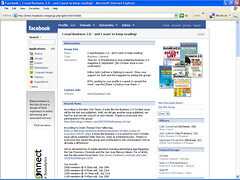 Also read an interesting post ‘Are you on Facebook yet?’ by Ann Handley, fellow co-author at ‘The Age of Conversation’ at Marketing Profs Daily Fix Blog again via socialmedia.Biz. Quite a number of AOC co-authors have also commented on that post. Though I regret that I don’t get enough time to play around with Facebook, I’ve no doubt that it is one of the hottest social networking scenes to be seen at today. And it’s increasingly being used to connect professionally with much success. Click here to read Judi Sohn’s post ’12 Ways to Use Facebook Professionally’. The September issue of Business 2.0 features ‘The Facebook Economy’ – how the world’s No. 2 social network is fast evolving into a new kind of software platform with custom social media applications. In between all this talk about social media, I want to share this awesome commercial for Virgin Atlantic’s Upper Class Suite with you. Enjoy! 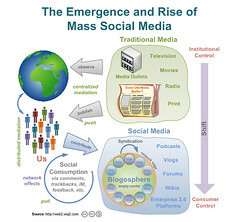 I picked up this interesting visual that explains the rise and emergence of mass social media on Dion Hinchcliffe’s Web 2.0 blog post ‘Social media goes mainstream’. Dion provides a round-up of social media definitions and introductory information and tops it by 5 ground rules. Check out this interesting ‘World Map of Social Networks’ at Valleywag. Which network is popular in your country? And for the unidentified patch that is Oman in the Middle East – I can tell you that Orkut is very much popular among the Indian expat community while Facebook is more used by Omanis and other foreign expats. Back from another break. 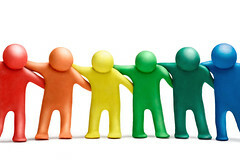 Here are a few good resources on social media via Unica’s Marketing Consortium Blog. 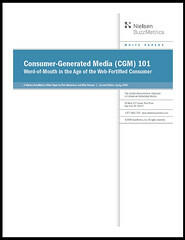 Consumer Generated Media 101, Word-of-Mouth in the Age of the Web-Fortified Consumer – A white paper from Nielsen BuzzMetrics with a very solid and concise background on social media and the specific content vehicles that directly impact consumer purchasing decisions. I had to submit information at this request form to access the whitepaper and surprisingly Oman was missing from the list of countries! So, I went ahead and selected United Arab Emirates, our next door neighbour. Now, how cool is that? Have a look at the SEOmoz roundup of 30 social media tools that marketers should be familiar with, including Digg, Flickr, Technorati, JotSpot, StumbleUpon, and many more. Or check out the more extensive “Seth Godin’s List” of social media tools. Ryan Karpeles talks about how social media is an invaluable asset to companies who choose to embrace it. New to social media and looking for a blogger role model? Ryan showcases over 35 amazing bloggers in this excellent post that links bloggers to specific competences and qualities. Yes, bloggers make outstanding teachers. 5000 web applications in 333 seconds. Check out this viral video from Simple Spark, a comprehensive directory of Web 2.0 applications via Karl Long’s blog. Gavin Heaton blogs about ‘Why does Social Media Stink’ and warns marketers against treating it like a channel. Rohit Bhargava writes about ‘The Dark Side of Social Media’ and 5 ways to avoid it. My first ever Social Media Challenge comes to an end and I’m so ready to conk-off. It was fun, 10 hours of trolling my way through the blogosphere searching for info and insights on social media. Will be back soon! Now it’s another trip to snoozeland. Great work, Arun! Now, of course, we can just point all newcomers to this post and let them loose! Thanks a lot for linking to the eBook and for your kind words, Arun – I’m really glad it was useful. @ Gavin: Thank you for the ‘newbie’ post. I hope to put together similar stuff in the next few ‘Challenges’. And would definitely love to hear your thoughts on the same. @ Antony: Thanks for dropping by. Did you have a chance to check out the ppt I mailed you? Arun, you continue to amaze me! Thanks for this great post. I’ve bookmarked it for future reference. Fantastic post Arun… you never stop amazing us! Precious post indeed… for all open minded learner. Thank you for the effort making it real!